The best vegan banana bread ever, made with whole wheat and crunchy pecans. Molasses add sweetness and richness to this loaf. Desi, my hubby, has a sweet tooth. A very, very sweet tooth. Although he’s usually careful about what he eats and pays close attention to what’s healthy and what’s not, all his good intentions simply evaporate when faced with a cookie or a cake or even a donut.So one of the challenges I constantly face, as the primary cook of the household, is to make sweets that are healthy and nutritious without sacrificing even the tiniest bit on the taste factor.One of the first cakes– or “breads”– that I ever made was a Banana Bread. 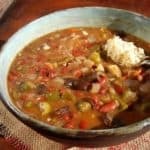 It was in my pre-vegan days and I followed the recipe in the Joy of Cooking to the letter. It turned out great, and Desi was hooked.Later, as a vegan, making a vegan Banana Bread that was as good, but without the eggs and the butter the recipe called for, seemed a little daunting. 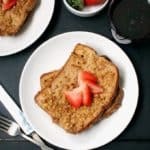 However, substituting the eggs with a mixture of powdered flax seeds and water, and the butter with canola oil, as well as adding applesauce to the recipe, produced a moist, extremely flavorful bread that tastes as good as, if not better than, the original.Flax seed powder or flax meal is a great substitute for eggs in most recipes. Eggs usually serve as a binding agent in baked goods, and flax powder, when mixed with water, acquires a texture similar to that of beaten eggs and helps bring the ingredients together beautifully.As I usually do with most baked goods that call for all-purpose flour, I used whole wheat pastry flour instead, further upping the nutrition value. I also used vegan sugar (Whole Foods has a great free-trade brand on its shelves) but you can also use regular or turbinado sugar. 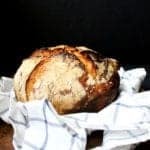 I add a tablespoon of molasses in my recipe because it gives the bread an even richer flavor and a great brown color, but you can leave it out if you don’t want to use it or don’t have any on hand. I also toast the nuts lightly before I put them in the batter because I believe that extra step really enhances their flavor. On to the vegan Banana Bread recipe– I promise you’ll be back for another slice. 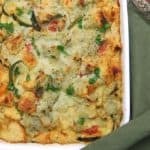 Preheat the oven to 350 degrees and oil a 8 1/2-inch by 4 1/2-inch loaf pan. Mix the flour, salt, baking soda and baking powder in a bowl. 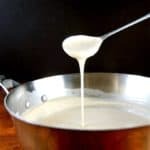 In a stand mixer or with a hand mixer, beat the oil and the sugar on high speed for about 2-3 minutes. Fold in the mashed bananas and chopped pecans. Pour the batter into the loaf pan and spread evenly. Bake about 50-55 minutes until a toothpick inserted in the center of the loaf comes out clean. Cool on a rack for about 10 minutes and then unmold and let cool completely on a rack. Bananas for banana? Check out more banana-based goodies here on Holy Cow!, like my Banana Cake with Peanut Butter Frosting and my Banana Nut Muffins. Vaishali’s receipe was easy to follow for a first time baker like me and so tasty that my foodie friends requested I make some more the very next day! Navami, glad it turned out well- I knew you could do it! Happy baking! Vaishali,Great I found a nice eggless version of banana bread.Hey since I am traveling and we have a lot of transit time, My hubby insisted If i can whip up a cake and that can come handy.I have no eggs and I remembered u had mentioned about this in ur recent post.I just loved the ingredients.Will do it today. Great I have some homemade applesauce. I dont have whole wheat pastry flour. 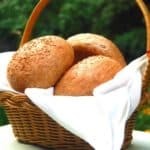 can i make it with whole wheat flour? or all purpose flour? Sainila, you can just use all-purpose, or use half whole wheat and half all-purpose which would be more healthy and more flavorful too. 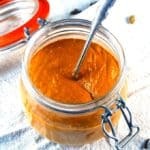 You can also try this with oat flour, nut butter (instead of canola oil) and jaggery (instead of sugar). I promise it turns out great! Also, banana bread without chocolate chips is sacrilegious! I am torn. I like a “bundt” pan but I like the Banana nut cake recipe too. I’ve got ripe bananas so I’ll have to decide tomorrow. Do you know what? I bet either one will be wonderful, like the rest of your stuff. Thank You. I an grateful for your time to respond, thank you. Am excited about using flaxseed meal, which I use for post workout protein drinksbut nothing else. Love eggs, but will stay true to your recipe, yours have not ever let me down. nut bread it is. I baked the banana nut bread today and it was a spectacle. My BW actually allowed it to cool in the pan 5 minutes, then I turned it out to cool 3 minutes, at her nagging, er, I mean urging, we sliced it right away. Yes you should let it cool a little more, but it was too tempting to wait. Used walnuts and light olive oil. The flaxseed meal is fantastic, a great way to get good vegetable fat. Thank You. Hi, I was wondering what you could replace the canola oil with, without changing the flavor. Please and thank you! Antuanett, yes, you can definitely use another oil. You could use any flavorless vegetable oil or light olive oil, as one of the other readers (message above) did. 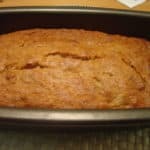 Made this banana bread….So moist and flavorful I didn’t miss the cinnamin at all! Your site is now on my favorites list after huge success (2 mornings in a row now) with the Whole Wheat Pancakes. Yum. flaxseed, banana and applesauce – it all of that really necessary (apart from the bananas?) as the bananas already act as an egg replacement…I don’t have the other stuff in the house so wondering if I can replace it with anything or just leave it? Had some bananas I needed to do something with. Decided on this recipe and I’m glad I did. It was quick and easy. I have also made Best Ever Banana Cake With Cream Cheese Frosting and it’s really really good as well, just a bit more time consuming. I’m sure I’ll make this one again. Thanks! All your recipes are brilliant!!! 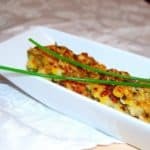 Hi Vaishali, I have followed your blog for over two years… I love your recipes, they are easy and flavorful, thanks for sharing your recipes. 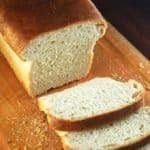 I prepared this recipe to the letter but as it happens to me ALL the time with baked goods, this bread rose perfectly while in the oven but, 10 minutes later it was flat out! I need your expertise, could you please help me to understand why is this happening? Hi Laura, thanks for your kind words about the blog! I am sorry your bread went flat. Since this happens to all your baked goods it seems very probable that your oven is not heating up as much as it should. All ovens do tend to be temperamental. I would advise ALWAYS doing the toothpick test with baked goods. If the toothpick inserted at the center comes out dry you are okay. Otherwise let it continue baking until it passes the toothpick test. 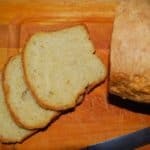 If the bread remains uncooked on the inside, it will most certainly drop when you take it out. Does that make sense? 5 1/3 tbsp canola oil in your recipe? Hi Alamelu, Measure 5 tablespoons, and then 1/3rd of a tablespoon. Does that clarify? Glad you tried the blueberry muffins! Thank you that’s what I thought but I wanted to confirm.